It’s a growing family, and to help new members of the team settling in, we’ve asked some of our teachers why they decided to join us in the first place. We’re sure a lot of you can relate with some of the feelings or experiences that our lovely teachers shared with us, so we hope you’ll enjoy reading this post! “Initially when I looked into antenatal teaching it was because I didn’t want to go back into primary school teaching. When I started looking into it, other organisations came up, and I thought that the amount required to train (plus the fact that a job wasn’t guaranteed) just wasn’t for me. I kept looking until I found The Natal Family. I immediately liked what was available to teach, and I love the ethos! So after initially contacting Steph in November 2013, I started my BabyNatal training in June 2014 and loved the ethos and BabyNatal even more! So I signed up to MummyNatal in November 2014 and BabyNatal First Aid in April 2016! As I say in my ‘About Me’ page, I truly didn’t think or realise I could change my mind about our choices related to pregnancy and birth. And having my second son after training and teaching with The Natal Family has made me feel so much more confident as a parent! So I hope that I can share this in classes to enable others families to feel positive and empowered with the choices they make. For more details about Zoe’s journey in becoming a MummyNatal teacher, you can also read our blog post A Natal teacher in the spotlight – Zoe’s MummyNatal journey. 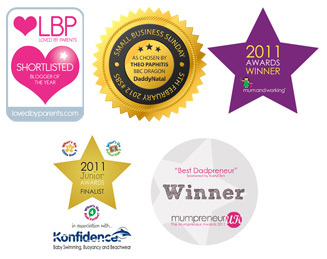 Natasha Perry – BabyNatal and MummyNatal teacher for Sheffield. “I didn’t want to go back into secondary school teaching after my maternity leave with my second daughter, so I looked into various franchises. They were all baby-related because that was where all my passions lay. I discovered BabyNatal (back in the days before The Natal Family even existed) on a franchise website, so I looked into it a bit more and got excited about the gap in the market addressed by the BabyNatal Practical Baby Care class. I felt I still wasn’t prepared to commit though, so I also looked into other organisations. I had many email conversations with Steph, and many more discussions with my best friend about what she saw as a good fit for me. I was worried I wouldn’t be true to myself if training with BabyNatal meant that my teaching had to be unbiased. But thankfully Steph eventually won me round, and I trained in July 2012 after taking voluntary redundancy in June. It’s amazing to think I’ve been with Steph, Dean and The Natal Family for so long though! “For me joining The Natal Family was quite a snap decision and definitely the right one for me – I personally often find that the best decisions are made that way. I was looking for practical antenatal classes that covered baby care when I was expecting my eldest. I was fine with the idea of giving birth, but I felt unsure about life with a new baby. I found BabyNatal, but there were no teachers in our area – as crazy as it sounds we almost travelled all the way to The Baby Show at the ExCeL in London just to attend a taster of a BabyNatal Practical Baby Care class, as that was our only option! I also saw something on the website about training to be a teacher, and it didn’t really register to begin with. But the more I thought about it and about the ethos of the company, the more I felt it was a really good fit for me, once I was ready to start working again after my maternity leave. So with a couple of weeks of first finding BabyNatal I had signed up for the training. I opted for the November 2013 training as my son would have only been 4 weeks old for the June cohort. I have loved teaching both the BabyNatal Practical Baby Care and First Aid classes, and I absolutely loved the opportunity to write the BabyNatal Weaning workshop. For personal reasons Katy has decided to stop teaching our programmes, but she definitely won’t lose the friendships she’s made and the support we give each other here at The Natal Family! So we take this opportunity to wish Katy and her family the very best of luck with their future. Katy will definitely be missed! “Following the birth of my youngest and socialising in new circles of mums and babies, I found it sad that so many new mums were feeling let down or disappointed in their births. I was hearing more and more recounts of negative birth experiences. I knew I didn’t want to return to teaching as my school were only offering a full-time job after maternity leave, so I began to look into the opportunities to work on a self-employed basis. I came across a post for The Natal Family about teacher training, and I really liked what I read, so I found out more and began my training. “I was having a difficult time with work, who were trying to change my contract whilst I was on maternity leave with my first baby, so I decided that I wasn’t going to return. What else could I do though? I didn’t want another nanny job at that point, and so when I came across BabyNatal in 2012 (I was on the second ever cohort and The Natal Family didn’t even exist then!) it sounded right up my street! If you’ve enjoyed this blog post, you can also read What our teachers say about their favourite Natal classes. This entry was posted in Uncategorized and tagged antenatal classes, antenatal teacher training, BabyNatal, birth, steph beaumont, The Natal Family by Sara. Bookmark the permalink.